What do examiners think of the PhD by publication? For the last couple of decades people have been experimenting with different types of PhD programs. The PhD by publication has become popular, especially in the sciences, but how do examiners react them? The academic world is quite conservative and some PhD students have encountered difficulties in the examination process. In this post, Chris Keyworth shares his experience of examination. Dr Chris Keyworth is a post-doctoral research associate based at the Manchester Centre for Health Psychology, University of Manchester, UK. Chris’s main interests include understanding how people think about their health, and finding new ways of improving the health system. His current research, as part of a team of researchers at Manchester, focuses on obesity prevention in two specific areas – improving patient/general public understanding of obesity prevention through appropriate lifestyle behaviour change, and understanding the healthcare professional role in obesity prevention. Chris’s ResearchGate profile can be found here (https://www.researchgate.net/profile/Chris_Keyworth), and he can be contacted via email (chris.keyworth@manchester.ac.uk) or through Twitter (@ChrisK_UofM). Since Chris is from the UK, this account is of his ‘Viva’ or oral examination, but I think the lessons translate to other types of examination, including the blind peer review favoured in Australia. The questions asked by Chris’s examiners were quite instructive and can help in the writing of such a thesis, so I want to thank him for sharing these observations. The thesis-by-publication (or alternative thesis) format is becoming more and more ‘trendy’ for the modern day PhD student. This approach offers students an opportunity to write their thesis alongside writing peer reviewed publications and refining those all-important research skills. There are many excellent ‘how-to’ articles out there, but what do examiners think of alternative thesis? I wanted to share with you some key take home messages that came out of my viva experience, which can hopefully help you when both writing your thesis and preparing for the viva. Be prepared to have a discussion about not only why you chose alternative thesis format, but how this has helped you develop as an early career researcher (editor’s note: if you are submitting without a viva, it’s worth including this information in the introduction). There are many advantages of this type of thesis and during my viva I had a great discussion about the ways this helped me develop my research skills. Not only is this an efficient way of writing your thesis as well as preparing and submitting scientific research papers, but it allows you to refine your writing skills throughout your PhD, a key skill for early career researchers. You develop your skills, and avoid duplication of work post-PhD. One of the most important pieces of advice I can give you is ensure you have clear signposting. My examiners were impressed with the way I had made it easy for them to navigate their way through my thesis. The way I did this was writing short sections before and after each chapter. This is really easy, but a very effective way of helping your examiners follow your thesis. My examiners were impressed with my use of visual aids – such as a nice clear diagram outlining the different chapters of my thesis. My examiners were keen to discuss my publication strategy particularly in relation to where I saw my career going. Because my thesis spanned multiple disciplines, I was encouraged to reflect upon why I chose the journals I did. For me it was a case of wanting to publish widely to reach a more diverse audience. If your research is applied (I was a psychologist conducting applied research in a dermatology setting) you need to explain the benefits of publishing where you plan to. Also be prepared to talk about the challenges you have faced communicating your research to people from within, and arguably more importantly, from outside of your field. I had attended and presented at many conferences, my examiners were keen to hear about my experiences of doing this, and what I had gained from attended multi-disciplinary conferences. The way I approached this was by explaining that my publication strategy reflected my aim to develop connections between different disciplines. As a psychologist, my aim was to show how my research was applicable and relevant to health and cognitive psychology, as well as dermatology, primary care and health services research. I spoke about the novel aspects of each of my studies and why these would be appealing to potential journals (Editor’s note: this was a good way for Christopher to show off the professional skills in academic publishing he gained from doing his PhD this way). 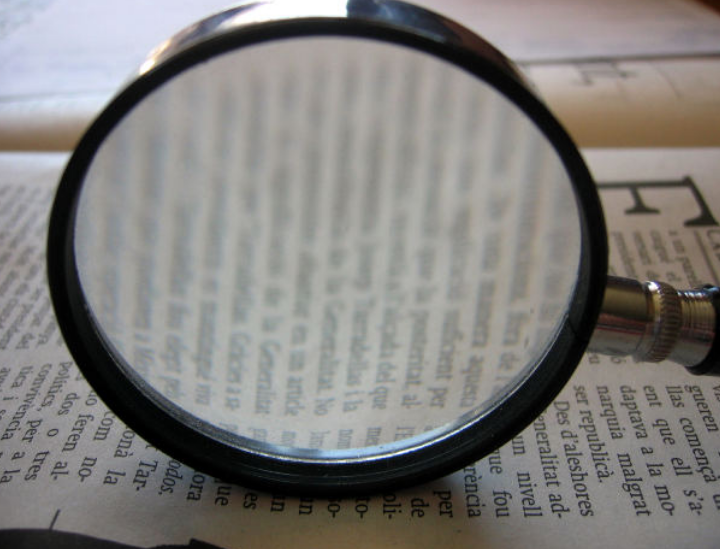 The word we are all too familiar with when it comes to research: transparency. Be clear in what your unique contributions are, and be prepared to explain in detail the steps involved in each of your studies. Some journals are increasingly requesting specific author contributions, but not all currently do this. You will need to talk about how you conceptualised each study (why was this study needed) and the methodology you used. I was asked to outline the contributions of other authors, for example second and third coders for qualitative research, or multiple data extractors for systematic reviews. Also remember that just because your papers are published doesn’t necessarily mean they are exempt from constructive feedback. Quite the contrary. A really helpful tip when thinking about any papers you have published as part of your thesis, is to go back to the reviewer comments. Think about what points were raised, and how you addressed them. This certainly helped me when talking about published papers during the viva. My examiners were interested in how each of my studies related to one another. There are of course different ways of writing and conducting PhD research (discussion about methodology is a topic for another day), but you may be conducting your studies sequentially (one by one) or in parallel. Alternative theses are not simply about cutting and pasting your journal articles together to form one document, far from it. Yes a paper may constitute a thesis chapter, but must be carefully weaved into your thesis to create a coherent narrative. Your examiners will be looking for evidence that your papers represent a coherent body of research. You will need to demonstrate that the papers, whilst they must each represent a novel/independent piece of work, link to answer your over-arching research question. My examiners liked the fact that I included a visual representation of how these studies relate to one another. This can be really simple, but again a very effective way of visualising the structure of a thesis. Think ‘boxes’ and ‘arrows’. My PhD was conducted sequentially (studies were conducted one by one), and as a result I discussed with my examiners each study, and how they linked to the previous/next ones. Your examiners want to know how your work represents a coherent body of work, and in particular about the implications of your work in the ‘real world’. We had a very detailed conversation about my discussion chapter. In particular issues such as why would policy makers, funding agencies and the like be interested in my studies findings for example. Remember the viva is a two-part process, the written part and the verbal part. A well written thesis can be made even better if spoken about with passion and enthusiasm. Thinking before your viva about what your examiners are looking for is half the battle. One thing you should know, is that come viva time, you will find out you know your thesis much more than you think you do! This entry was posted in On Writing, Presenting. Bookmark the permalink. Thanks for a good post! I recently wrote about reasons for taking this route, and finished with some points from an examiner’s point of view. https://jorgencarling.org/2017/06/01/eight-reasons-for-doing-your-phd-by-publication/ A key issue, I think, is to avoid regulations or expectations that make the editorial process at journals undermine the integrity of the examiners’ assessment. Thanks, this is really informative. i really concur with you on this Educative article and yes examiners think of the PhD by publication. Thanks for sharing.